For some time, the move has seemed inevitable – even more so as the rumor mill started echoing with suggestions that a native release was coming. But now, it’s happened: Pro Tools HD will now run without HD DSP hardware. And that’s not all — you can also use the same hardware with your existing DAW of choice, for users of software like Cubase and Logic. There’s a price tag attached, though. This remains what for many would be a high-end solution. At US$3495 retail and up, it’s not competition for buying a basic interface card and Cubase. Think, instead, a more affordable and flexible way to equip studio rigs, and some potentially serious competition for vendors like Apogee, especially since you can use any DAW you want. Just to say that again: Avid is making a version of Pro Tools HD that runs on the CPU and supports any DAW on Windows 7 or Mac OS X Snow Leopard and higher. Is An Avid Pro Tools HD Native Core System Expensive? What you get for that investment, though, is something worth discussing. It also reveals what’s necessary to get real, low-latency audio operation, which is relevant even if you aren’t in the market for Pro Tools|HD Native. CDM gets some insight into that from the developers. 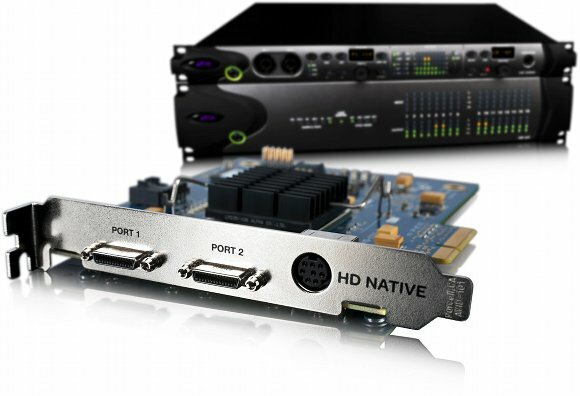 Native core: $3495 buys you the necessary PCIe native card plus Pro Tools HD 8.5 software. The card comes with two Digilink mini ports on it. Native core + OMNI Add an HD OMNI interface to the above. Total: US$5995. Native core + HD I/O 8x8x8 Get a full 8x8x8 HD I/O interface. Total cost: US$6995. 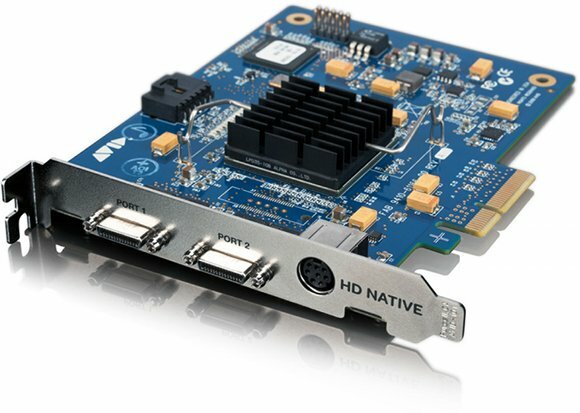 Native core + HD I/O 16×16 analog US$7995. Venue support. (Yeah, that’s pretty huge, since Venue rigs don’t necessarily need all the TDM stuff. This is what makes it all work: an I/O card for a PCI slot on your Mac or PC desktop. 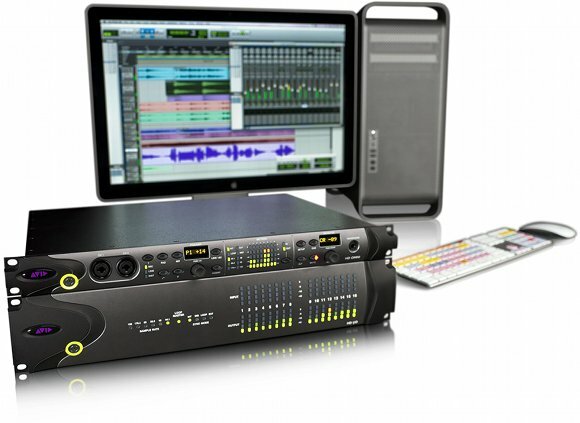 It is a significant “mid-range” studio solution, and will likely fill a big need for Pro Tools customers. Avid told CDM in a briefing yesterday that they’ve gotten enormous demand for just such a solution. Just doing a discounted upgrade to HD got a big response, and users have wanted something between LE and the TDM-based HD for project or secondary studios. It also seems to me that it demonstrates Avid is willing to change, which could have greater implications down the road. What you get is, says Avid, not a replacement for their DSP solutions, but otherwise unrestricted in sync, I/O, and functionality. It has the mixing and I/O LE lacks, and it even supports legacy “blue” HD converters (192, etc. ), making it a likely candidate for upgrading studio setups that didn’t make the leap to 8.5 software. If you don’t want to use Pro Tools as your DAW, you get 64 channels of I/O with any Core Audio (Mac) or ASIO (PC) system. Avid says they’ve tested extensively with Logic and Nuendo; Digital Performer, SONAR, and others should work, too. And, notably, it’s a native system with extraordinarily low latency. Pro Tools|HD does .44 ms (at 96k and a 64 sample — yes, sixty-four total – buffer). But HD Native does a very respectable 1.6 ms; less than half that if you choose direct monitoring while recording, which you can do with simple stereo monitoring or even 7.1 surround setups. That’s 1.6 ms through the native setup, through PCI, and through the kernel and operating system. We’ve heard those kinds of theoretical numbers, but it’s a big deal to get it consistently on a computer system with a single, stable setup. A closer look at the native card. Mmmm… heat sink. The magic answer to all this is the Core Audio/ASIO “safety buffer” which is an additional layer of latency used by third party IO manufacturers (HW) manufacturers who provide Core Audio drivers for their HW. We also use a safety buffer for all of our hardware (including LE and M-Audio) that have Core Audio and ASIO drivers. A safety buffer can have a very wide range of values. PCIe based hardware IO is the best case where manufacturers could theoretically get down to a 9 sample buffer, and go as high as several hundred samples for USB devices. The key for a high-performance, low-latency system is PCIe-based IO and quality low-latency converters. This is the main reason why a PCI-based Pro Tools HD Native system combined with an HD IO has such exceptional latency. The story gets even better at 96kHz sample rates where most converter latencies where the host CPU latency halves itself, and many high-end converters are capable of a low-latency converter mode without sacrificing quality. Our new HD IO and OMNI IO have such converters and perform in a low-latency performance mode when used at 88.2 and higher sample rates. If anyone wants to get deeper into these issues with Avid (or anyone else), let me know; I’m game. There’s also time. Developing highly-optimized TDM plug-ins in Assembler is a different game from writing RTAS (or VST, or AU, etc.) plug-ins in C, and not everyone will port from one to the other. What’s interesting to me, though, is that some of these issues transcend usage scenarios, budget, and the like. I don’t doubt that every musician would love 1.5 ms latency. And those fundamental architectural issues I believe will continue to be relevant for the entire musical community – whether their tools count as particularly “Pro” or not.